Greg Gaston began his actuarial career with Johnson & Higgins in 1979, where he attained his enrollment under the Joint Board for Enrolled Actuaries and became a Member of the American Academy of Actuaries. Greg served as consulting actuary to several national and international firms before taking a position in the actuarial branch of Coopers & Lybrand. During his time with an international consulting firm Greg saw a need for an actuarial firm that understood and could focus on the needs of small to mid-sized employers, particularly those outside of major urban areas. In 1987, Greg founded J.G. Gaston & Associates to serve these needs. The firm was relocated to Asheville in 1994. David McCullough joined J.G. 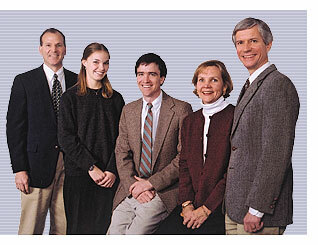 Gaston & Associates in 1996. 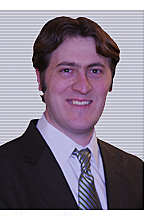 His focus is actuarial valuations and administration, specialized spreadsheet development, and government filings. David was instrumental in establishing the intern program in cooperation with the University of North Carolina, Asheville. Zach Nieland joined J.G. Gaston & Associates in 2007. His focus is actuarial valuations, SFAS 87 & 106 financial reporting, software development, and IT. Amy Gaston is married to Greg and assisted in the founding of the firm. Amy prepares client billings, oversees office operations, and plans outside office activities. A registered nurse by training with a BS in Nursing from Emory University, Amy provides medical insight into our GASB 74/75 consulting section. J.G. Gaston & Associates maintains a student internship position for University of North Carolina-Asheville students majoring in mathematics. The student intern assists with pension valuations, individual retirement benefit calculations and provides general office assistance. Pictured here is Lauren Mapstone, our first UNCA intern who, under direction of David McCullough, developed the program. Our current UNCA intern is Devyn McNicoll. Devyn is from Waynesville, North Carolina and currently lives in Asheville. Devyn graduated from UNCA in 2012 with a Bachelor of Arts Degree in Mathematics.